Easy and fast access control via the NFC Code Touch with the small, rugged key fob. 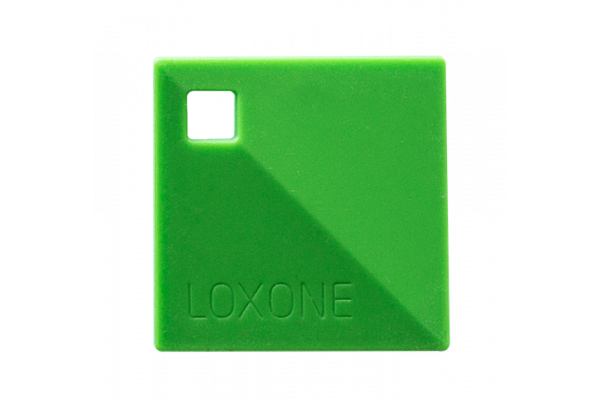 The NFC Key Fob is a safe and convenient way to enter your Loxone Smart Home. The NFC Key Fob is made of high quality and durable plastic and therefore ideal for everyday use on your keychain. The NFC Key Fob has been specially designed and developed for access via the NFC Code Touch. 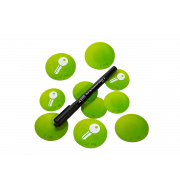 The NFC Key Fob encryption technology provides you with the highest level of security - the NFC Key Fob is the safest way to access your Loxone Smart Home. Thanks to the seamless integration of this access solution in our Loxone Config and Loxone App, individual access authorizations can be assigned. The NFC Key Fob requires an NFC Code Touch. Temporary admission and one-time access are also possible with the NFC Key Fob in conjunction with the NFC Code Touch. The new encrypted NFC Smart Tags combined with the NFC Code Touch creates a feature-rich access control solution for your smart home.